Kirsten McCann. Photo: Wessel Oosthuizen/Gallo Images. 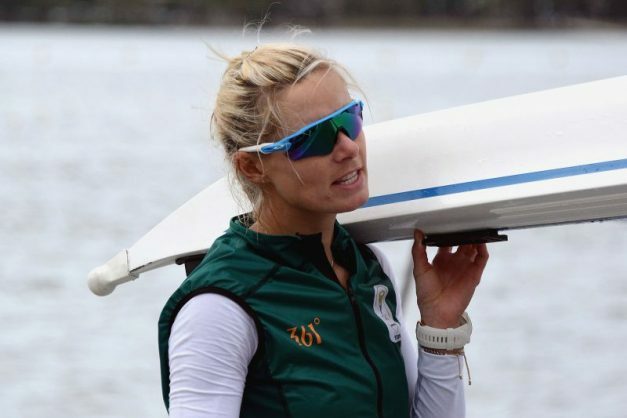 Her former partner has tipped Kirsten McCann to put up a fight for a podium place next week, as the Tuks-HPC rower joins the South African medal charge at the World Rowing Championships in Sarasota, Florida. After earning bronze in the doubles boat with Ursula Grobler at the global championships in Aiguebelette, France, two years ago, and settling for fifth place at the Rio Olympics last season, McCann was set to launch a solo assault in Sunday’s heats. Having won the World Cup race in Lucerne, Switzerland, in July, McCann was among the favourites in the lightweight women’s single sculls event. “If nothing unforeseen happens, I believe Kirsten can challenge for a medal, especially if she’s up there with the race leaders over the last hundred metres,” Grobler said. The SA men’s four-boat, meanwhile, were also due to start their campaign in the opening round tomorrow. The national quartet included Olympic medallists John Smith and Lawrence Brittain, as well as Jake Green and David Hunt, who narrowly missed out on the podium at the Rio Games. Though they settled for fourth place in Lucerne, Brittain was confident he and his team-mates could target a medal. “At the beginning of the season, we were four good individuals getting into a boat,” Brittain said. “The challenge was to become a proper crew who understand each other and who can get the boat to move quicker. After stepping on the podium at the previous three successive editions of the World Championships, the national team failed to earn a medal in Rotterdam last year, and the 11-member squad will aim to return to the table at the eight-day spectacle which comes to a close next weekend.